Soon to be built on the corner of Yorkville Avenue and Yonge Street is one of the hottest new condo developments in Toronto — 1 Yorkville by Bazis Inc. and Plaza. After a successful launch last year, the developer has now started prep work, clearing out many of the stores currently on the site. 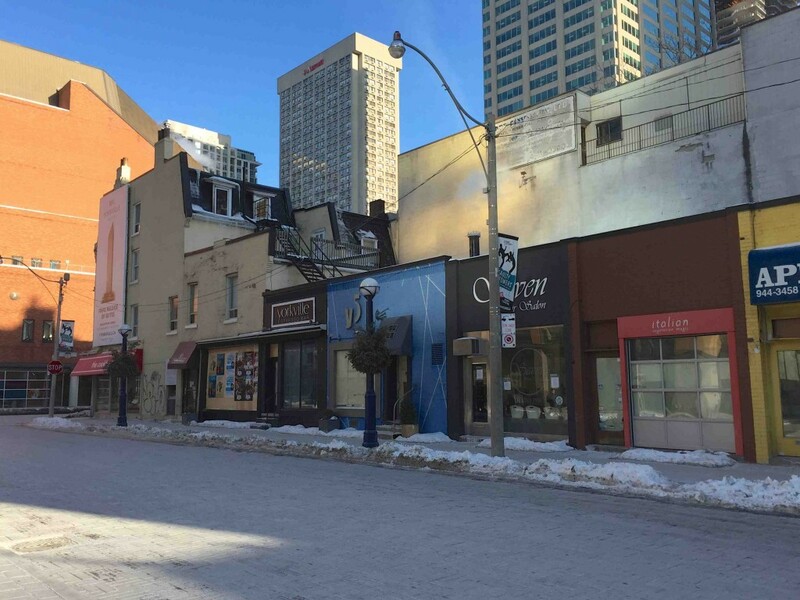 These heritage store fronts will be fully restored and form part of 1 Yorkville’s podium housing the project’s boutique retail shops. Have a look at the pictures we took when we dropped by the site last week. Soaring 58 storeys high, the development will tower over the sought after Yorkville area just north of glitzy Bloor street — also known as the Mink Mile. 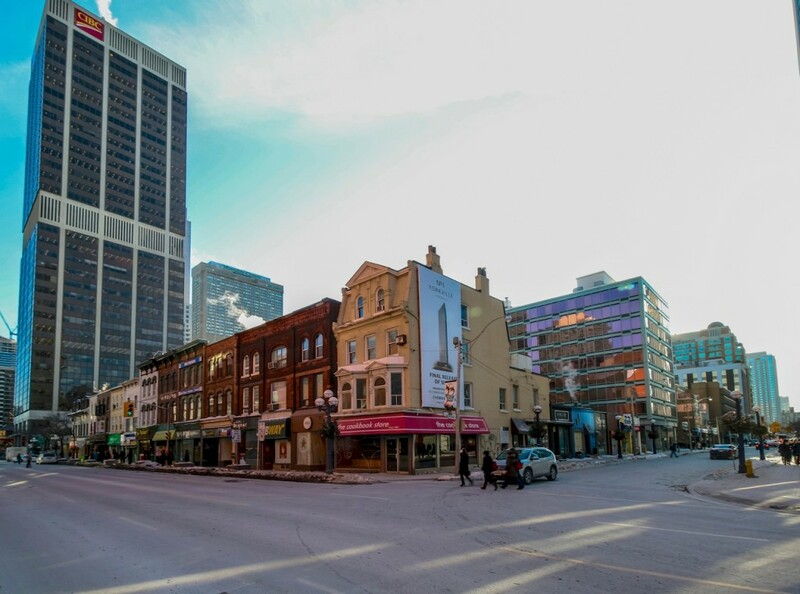 Surrounded by shops, cafes, and restaurants, residents at 1 Yorkville will have easy access to all the amenities and services offered in the area including both the Yonge and Bloor subway lines. One of the projects most distinctive feature is the architecture by Rosario Varacalli, which utilizes ribbons of faceted metal and steel cladding that Varacalli describes as “3D wallpaper”. That distinctive design provides a facade that appears to transform depending on light conditions, shadows and where it’s viewed from. Beneath the dynamic exterior cladding, the condominium will house 577 well-appointed suites ranging in size from 451 square feet to 2,286 square feet and priced from $388,000. The development also has an impressive list of amenities spread across two floors. These include a large outdoor pool, hot tub, plunge pools, open-air terrace, fitness centre, aqua massage, juice bar, dance studio, and yoga room. Up on the rooftop, residents will have access to a luxurious lounge, complete with an outdoor cinema, fire pit lounge, party rooms, and of course, breathtaking views of the city.